We are delighted to welcome our delegates to a reception to be held at the University Senate House just a short walk away from the Congress venue. 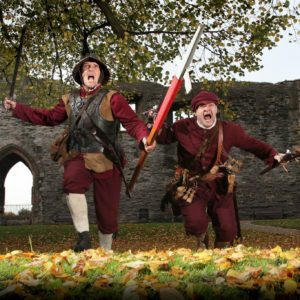 Following on from the success of last year’s event, this year we will be entertained by Sealed Knot, a Civil War re-enactment society. A drink and light meal will also be provided. Admission is by ticket only and is included for all Wednesday registrants. Additional tickets may be purchased for partners or family members at the time of registration or contact adminsec@baps.org.uk. 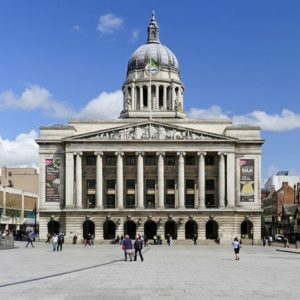 The Gala Dinner is the social highlight of the Congress and will be held at the beautiful Nottingham Council House in the centre of the city on the evening of 4th July 2019. Completed in 1929, this neo-Baroque building designed by Thomas Cecil Howitt with its 200ft dome forms a familiar outline on the skyline above Market Square. Nottingham is perhaps most strongly associated with the medieval hero Robin Hood and we will be celebrating the era with music and dance. Tickets are available at registration and include transport to the venue from the EMCC and a three course seated meal with half a bottle of wine or non-alcoholic drink per person. Return transport is not included. Please notify us of dietary restrictions at the time of purchase.